Federal law does not mandate vaccination. Nonetheless, all 50 states require certain vaccinations for children to enter public schools, with exemptions for medical and religious reasons. Proponents say that vaccination is one of the greatest health developments of the 20th century. Prior to the measles vaccination program that began in 1963, an estimated 3 to 4 million people in the U.S annually got the disease. Of these, 48,000 were hospitalized and between 400 to 500 died. Since then, measles has been reduced 99%. Opponents argue that children’s immune systems can deal with most infections naturally, and that injecting questionable vaccine ingredients may cause side effects. They contend that some studies prove that vaccines may trigger problems like autism. Currently ten states are battling the spread of measles. Health officials in Clark County, Washington state have declared a state of emergency where vaccination rates lag behind regional averages. When questioned, anti-vaxxer parents declare that they are mistrustful of a cabal led by government, pharmaceutical companies and medical authorities. Interestingly enough, the anti-vaccine movement has reached deep into a variety of religious communities. Their objections are generally based on the ethics of using human tissue cells to create vaccines, and the belief that the body is sacred and should not receive certain chemicals. So in 1990 in Philadelphia a measles outbreak occurred among children of two fundamentalist churches that relied on prayer for healing. Religious vaccine exemptions are often the center of controversy and media attention. Most recently, one focus has been Chassidic-Orthodox communities. Many have asked: Is Judaism is opposed to vaccines? The answer is an unequivocal NO! So why the hesitation? In truth, across the globe Orthodox Halachic decision makers rule that vaccines are kosher, and urge observant Jews to be immunized. Just as pig valves can be used for heart disease and non-kosher beef insulin for diabetics, so too vaccines. Indeed, most Chasidim are vaccinated. Still, from enclaves in Rockland County to the bustling streets of Borough Park and Williamsburg there are holdouts who question both the efficacy of vaccines and the media hype. Some Jews worry that the media focus is an excuse to fan the flames of anti-Semitism. Yesterday, one of my sons flew into Ft. Lauderdale from New York. Waiting for his luggage, a concerned woman, who didn’t want to stand too close asked him, “Are you vaccinated?” Even if it’s Fake News creating a crisis where none exists, there is a tremendous chillul Hashem, a defamation of G-d’s name. Who cares what others think? you say, I have to worry about my own family. This point bears further scrutiny. Every society creates a contract. Some parts are formalized into law; others, though unwritten, are mutually accepted. We do this because it is to everyone’s benefit. Example: I will obey the traffic flow, meaning I trade my ability to get to work really quickly so that all have greater safety on the roads. That is how society functions. Ditto, when it comes to vaccines. The common good requires individuals to take on a certain amount of personal ‘negatives’ for the benefit of the whole. Even if you’re healthy, others are vulnerable like pregnant Moms and infants. At a societal level they have to rely on you not to get sick; they depend on it. Widespread vaccination – according to some – may not be personally beneficial, but it is critical for others. Regarding the ninth plague of darkness, the Torah relates, “No [Egyptian] could see his brother…but for the children of Israel there was light.” While the self-centered Egyptians only felt their own anguish, the Jews were not indifferent to their neighbor. “Every man for himself,” has always been an anathema to the Jew. 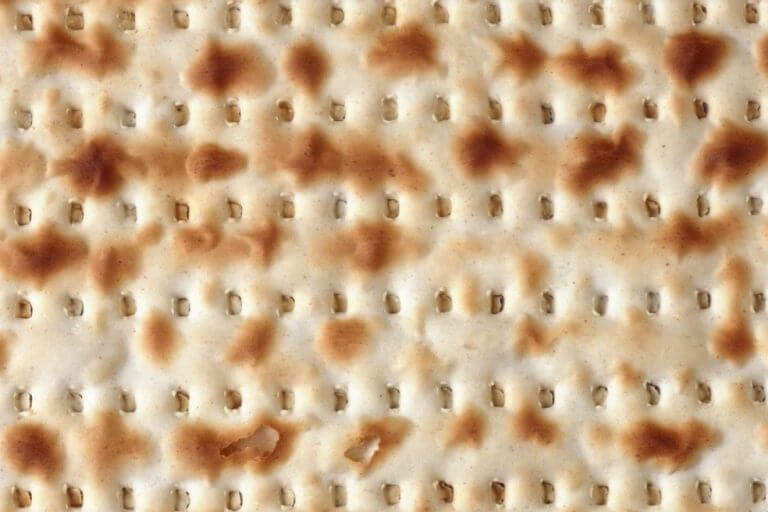 On Pesach, four very different brothers come together. They grew up differently, have diverse practices and values, but when they share a matzah at one table, they act as one family. That is how they merited G-d’s blessing. Sounds like a plan for today as well.